Breanna Henson, 30, seen after being charged in connection to her baby's death. UPDATE 03/19/19: On Monday, details of the autopsy were released of an 8-month old baby found dead with a dog nearby. The child's mother, Breanna Henson, 30, was reportedly intoxicated and arrested at the scene. 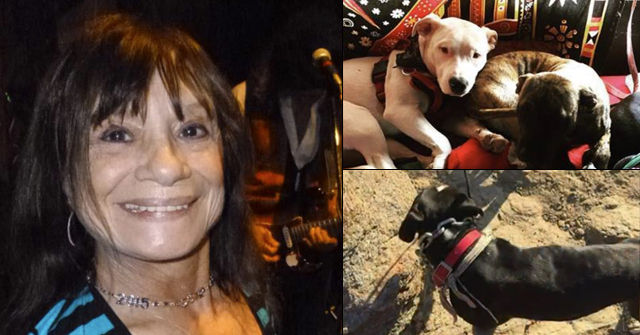 Patricia Henson "sustained several injuries during the incident, including abrasions, lacerations, contusions, and puncture wounds; absence of soft tissues; hemorrhages; hematomas and lacerations; among other injuries," reports KVOA. Three containers of gastric contents from the dog were also examined. The report states the manner of death is still undetermined. Thus far, Henson has been charged with one count of child abuse. She was charged in January and released into the custody of her parents. Criminal charges will likely increase against Henson if the manner of death is ruled a homicide instead of an accident. In earlier media reports, the attacking dog was described as a German shepherd. Read the full autopsy report conducted by the Pima County Medical Examiner's Office. 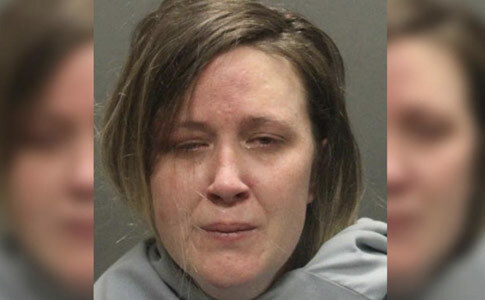 Tucson, AZ - Last week, Breanna Henson, 30-years old, was arrested and charged with one count of felony child abuse after police found her 8-month old infant dead. On January 24, Tucson police responded to a home in the 7700 block of E. Apple Tree Drive about 1:30 am after receiving a call of an unresponsive female child. Police said Henson was intoxicated when they arrived. 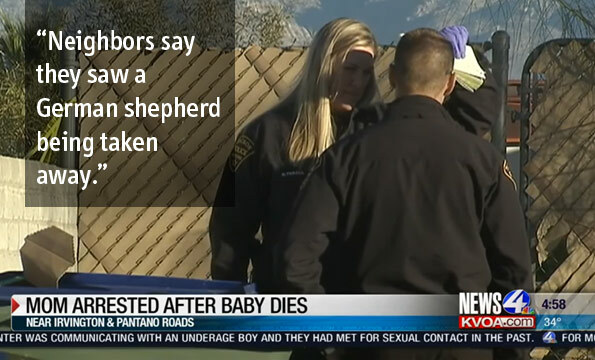 The baby was discovered with puncture wounds and scrapes, consistent with injuries caused by a dog. No dog breed information was released by police, but neighbors said they saw animal control taking away a German shepherd. 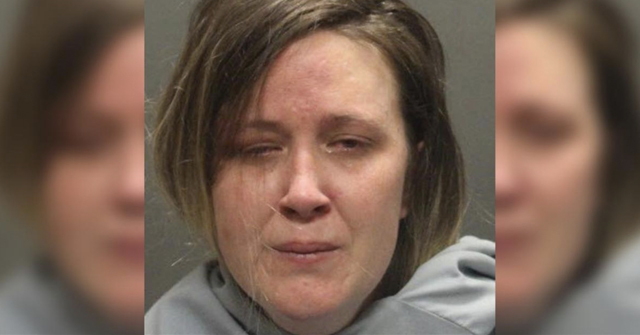 The interim complaint filed in Pima County Consolidated Justice Court said Henson was intoxicated and woke up to find her baby unresponsive with "significant trauma." Henson was the only adult in the home. An autopsy was performed on January 25, but no results have been released. Henson was released into the supervised custody of her parents. Henson's next court date in scheduled for February 13. Pima County Animal Control Officers confiscated the dog. An 11-year old German shepherd-mix named Jax was seized from Breanna Henson’s home. A German shepherd was confiscated from the home on East Apple Tree Drive in Tucson. This post notes that the Pima Animal Care Center took custody of the dog. However, no breed information has been given. I think I can explain what’s going on. PACC is led by Kristen Auerbach, and suffice it to say that she is a pit bull pusher. And why do I say this? Well, I’ve seen her doing it. On July 4, 2017, I attended the Palo Verde Neighborhood’s Independence Day parade. This is a popular community event that has been happening for decades. Two years ago, Auerbach was the grand marshal. 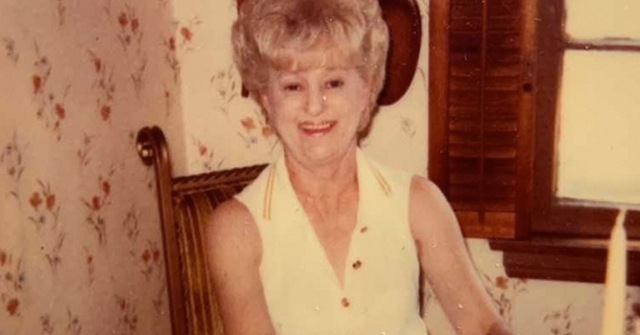 She and one of her animal care officers showed up with an oh-so-adoptable pit bull, and I distinctly recall Auerbach saying that it was a great dog. Imagine, if you will, Tucson Police Chief Chris Magnus coming to the same parade with a recently confiscated weapon. In front of the parade attendees, he says that it’s a great gun, and that it’s available for adoption. That would never happen, but for some reason, it’s okay for PACC to promote the adoption of pit bulls. As a Tucsonan who is very concerned about the public health and safety, I am curious about the fate of the dog involved in this attack. Will PACC put it up for adoption? I certainly hope not. Please see the update! They released the medical examiner’s report. Really? If 1 out of every 30 dogs is returned because someone got bit the people at the Pima Animal Care Center must be pretty bad at evaluations. Jesus, 200 returns for biting?? That’s not a “success” at all, it’s a testament to how poor your evaluation process is. 1 in 30 is NOT an “enormous success rate,” it’s a terrible failure. It is nothing short of criminal what rescue groups are doing. Such a dangerous breed. How can this be allowed? Yes. Adopting dangerous dogs into family settings is sinister. Kristen Auerbach is probably a witch at black masses. The entire scheme is diabolical and is the product of a very dark underground. There is every indication this is a fatal dog mauling. It’s unknown why the cause of death is not out yet. Manner of death will probably be ruled homicide. There could be an increase in charges too. This mother is in serious trouble. I guess they are going after the mom because she was drunk? Dogs (usually pits) kill children all the time. Usually it is just considered an act of Dog and nothing is done. I can’t help smelling the strong aroma of a coverup. Why? Because we haven’t seen a single photo of this so-called German shepherd. Is it really a GSD? 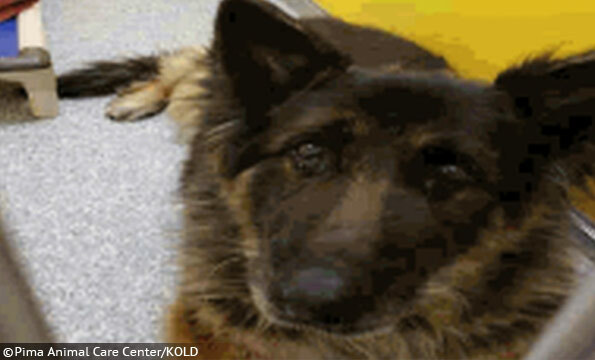 And, if it’s in the custody of the Pima Animal Care Center, why has that agency not released a photo? In this locale, one thing’s certain to happen. If a human being is arrested and charged with the murder of a child, his or her photo will be all over TV and the print media. Yes. That is usually the only time they prosecute a parent in these cases. “Sleeping until noon” (due to drinking the night earlier), and the child is mauled in the morning, that is criminal too. A child’s death or serious injuries is not accidental under these circumstances. Speaking of which, tox results may also be why there has been no new information. Police could be waiting on tox results. This baby was left unattended with a dog. Was the breed German Shepherd? Dogs of this breed generally love children if raised with them. Was the dog fed? Was the dog bored? This woman violated the rule of leaving an infant unattended with a dog, and I personally do not believe that all dogs recognize infants as people. I think some will consider them real squeaky toys that often have odors attractive to dogs. It really annoys me that the pit pushers have gotten the “don’t leave a baby alone with any dog” BS into main stream. I come from a generation of children who were raised with NORMAL large dogs, and our folks left us alone with them all the time. Not from a generation where biters are allowed to continue on. FACT it is OK to leave your children alone with a Normal dog. Its not Golden Retrievers or Beagles or Pomeranians killing children. 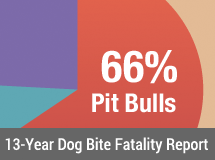 The large majority of course are killed by pit bulls and a few other breeds. No kill and pit pushers are to blame for this. And I am really annoyed by the fact that we, the people of Pima County, have yet to see a photo of this dog. Why is that? What does the Pima Animal Care Center have to hide? As mentioned previously, if this killing had been done by a human being, our local media would be blasting his or her photo all over the place. Now, you may be wondering why I’ve posted so many times on this thread. Part of the reason is my location. I’m right here in Tucson. I also want to alert the readership to the dereliction of duty shown by the Pima Animal Care Center. It isn’t just what’s in the news articles I’ve linked in here. It’s also right here in my neighborhood. Case in point: Back in 2009, a child was getting off the school bus. A couple of loose pit bulls chased the child into a neighbor’s fenced yard, where he took refuge while an adult called 911. The police came, the dogs’ owners denied ownership, and the cops didn’t believe that story for a minute. They spoke to other neighbors who confirmed that, yes, the dogs belonged to the people who just said that they didn’t own them. Now, here comes the fun part. Animal Care came and took the dogs away. We, the long-suffering neighbors, breathed a sigh of relief. Unfortunately, our miscreant neighbors got their hellhounds back a few days later. And those pit bulls terrorized this area for three more years. And then the owners moved and took their dogs with them. I could tell stories of more recent incidents, but you get the idea. Not a word about protecting the public safety on this page. Nope. It’s all about that “save” rate. And, mind you, this is an agency that *used* to be part of our county’s public health department. They abandoned their responsibility to public safety the minute they saw all that Best Friends money being waved at them. Just look the other way while pit bulls kill people, and you too can have wads of cash. It’s disgusting, and IMO the public should have recourse, and a way to force these activists to do their actual jobs. YES. This “NO child should ever be alone with ANY dog!’ crap is pit pushers trying to normalize sudden dog aggression by making it seem like all dogs are ticking time bombs. Now, our neighbors (and good friends) have the world’s most adorable baby girl (currently; my two were of course cuter when they were babies, but aside from that). Both times she’s been at our house for a visit our GSD was put outside, because he barked nervously at the baby the first time she came over and I decided that, since he’s a puppy himself and not accustomed to babies, I’d rather be safe than sorry. But when our older daughter was a baby, we had a collie/shepherd mix who never had a problem with her–loved her from the minute we brought her home–and never attacked or bit her. I DO think toddlers should be watched with dogs until they learn not to pull tails/ears etc., but this ridiculous “If they’re under fourteen, never leave them alone with your trusted family pet!” nonsense is just that: nonsense. The irony of this “Never alone!” stuff being pushed by the same people who claim there was such a thing as a “nanny dog,” never fails to amuse/disgust me. That autopsy report is hard to stomach. That poor baby died a terrible death.